It is understandable that you find searching for the best microphones for vocals intimidating and confounding because of the sheer variety! Remember that all microphones are not same; each microphone has its own unique properties that are different from the other models. For example one microphone for vocal picks up just the vocalist’s voice while another model might pick up the ambient sound too; one may be good for a solo performer while another is more suited for a group. Therefore knowing the right kind of microphone is very essential to produce the sound that you desire. Microphone Diaphragm Size: This is the portion of the microphone which comes first in contact with the sound waves. Hence its size, whether it is large, medium or small will determine how much volume, what frequency and what dynamic range a microphone has. Microphone Frequency Response: Each microphone is designed to respond differently to the frequency; this response is the key to how your voice will sound on the mike because each individual has a different bass, pitch and loudness. Microphone Polar Patterns: This feature decides which sound the microphone picks up; the direction of the sound. This quality is a determining feature between microphones for solo singers and group performers. Microphone Type: There are three types: Dynamic, Condenser and Ribbon. The Dynamic types are suited for group singing and high volumes while the condenser is more suitable for solo voices where it can pick up the subtle nuances of a singer. Sensitivity: This feature determines how much you must amplify the sound for the optimum hearing experience. More sensitivity requires less amplification and less sensitivity requires greater amplification. We know all these features can be mindboggling if you are not a physics student or have no knowledge of the working of microphones; therefore we took it upon ourselves to make the process of selecting for the best microphone for vocals simpler. Listed below are five of the best microphones for vocals in the year 2016. 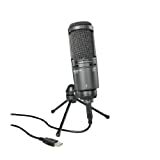 Blue Yeti USB Microphone – Blackout Edition is well suited to record podcasts, interviews, instrumental music and concerts with its tri-capsule technology and four modes of recording. You can adjust the volume on the microphone, adjust its direction and even pack it and take it with you. It is very easy to set up the Yeti. It comes with a two year warranty and is compatible with Windows 8, Windows 7, Windows Vista, XP Home Edition or XP Professional, USB 1.1/2.0, 64 MB RAM (minimum). If you have a Macintosh then Mac OSX (10.4.11 or higher), USB 1.1/2.0, 64 MB RAM (minimum) are the necessary platforms. The only drawback here is the large size of the Microphone. When you are looking for a great tonal quality you can straight away reach for the Heil PR-40 Dynamic Studio Recording Microphone because it is the best microphone for vocals. With an ability to reproduce sound as low as 28 HZ, the Heil PR 40 is great for live recording and broadcasting. The large diaphragm ensures that the mike has a large frequency range and low distortion. And the neatest part is the pop screen design which cuts the breath from hitting the diaphragm thereby minimizing the audible breath during singing. Probably one of the best microphone for vocals the Sennheiser e945 Supercardioid Dynamic Handheld Mic is all about class, style and quality. The sound is crystal clear and the mike is built to handle the loudest stage. The Supercardioid pattern ensures that the microphone does not pick up other ambient sounds on the stage. The 10 year warranty on this microphone is Sennheiser’s assurance about the durability of the mic. The Shure SM7B Vocal Dynamic Microphone is dynamic and cardioid then how can it go wrong? It is the most suited for studio setting and broadcasts as the voice is clear. The Shure has a wide range frequency response and dynamic range making it one of the best microphone for vocals. There will be no interference from other electronic devices around the mike; no mechanical noise and no need for expensive add-ons. This microphone is built to last. From several tests it has been deduced that the SM 7B is ideal for Hip Hop too. The price, the look and the end results are all factors that add value to the Audio-Technica AT2020USB PLUS Cardioid Condenser USB Microphone. Unlike its predecessors, the USB plus can be used to do voice over work, podcasting, mixing music tracks other recording stuff that needs pure audio. The USB Plus is easy to set up, has minimal hiss and zero latency and produces clear crisp precise tones with minimal background noise. It is worth its price. It is a given norm that almost or at least most of the music lovers use the USB microphone for all their recording purposes in their home studios, for pod casting, on YouTube and for every other recording purpose. There are several USB microphones in the market but the best microphone for vocals is one which is reasonably priced and performs seamlessly. The Sennheiser e945 made with German technology is probably the best microphone for vocals in list above. It being a dynamic mike you needn’t worry about having a phantom power source for it. In addition to that the proximity effect is also negligible making it very easy to use especially for a beginner. If you are looking for the best microphone for vocals then ensure that you don’t get confused by the technical jargon about the mike. Check the price range and buy one that suits your budget and has features that are suited for your need- stage singing, recording studio, and broadcaster, whatever is the case. With experience and more knowledge you can invest in a higher end microphone with better features.